For the first five months of this year, supply of stainless steel primary products into the local market is 3.9% down on the same period last year but was the same in 2015 compared to 2014. This reflects the subdued sentiment of most sassda members in 2016. The primary products apparent consumption figures for 2016 are distorted by a 360% surge in destocking and export of flat products, presumably by distributors in response to the weakening Rand. 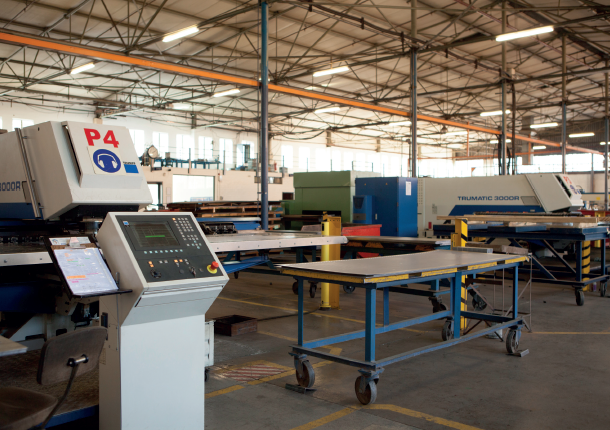 World Power Products is not only renowned for its industry leading custom-built work but also for providing a wide range of standard, in-house designed, off-the-shelf products manufactured locally to world-class quality and available at highly competitive prices. 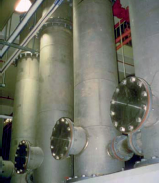 Stainless steels have been used in the treatment, storage and distribution of drinking water for over thirty years. Today that use is increasing and there are opportunities worldwide for further increase. The benefits to society and industry are better water quality and reduced environmental impact at lower cost. 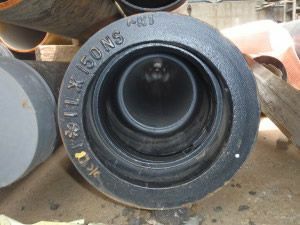 Market developments in the international stainless steel industry have revealed the high value potential of using stainless steel piping in the service delivery of municipal water that can potentially save millions of Rands lost in leakage and filtration costs as well as see a reduction in the usage of water per capita. In 2011 a revised set of South African National Standards was published. 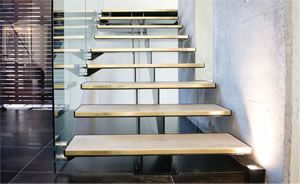 The balustrade and staircase industry was one of the many industries that was affected by these revisions. The building industry has become far more regulated and the time had come for sub-contractors and contractors to pay closer attention to the national building regulations in order to ensure that products in the building industry complied with these regulations. 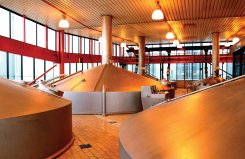 Stainless steel is the preferred choice of material when it comes to building breweries. SAB’s Alrode malting plant is no different, with about 90% of the equipment made from stainless steel. 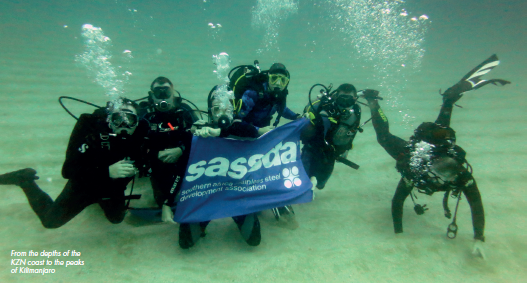 At the sassda’s 2016 AGM, a new Memorandum of Incorporation (MOI) was unanimously adopted, which puts the association on a more secure footing with respect to the Competitions Act. 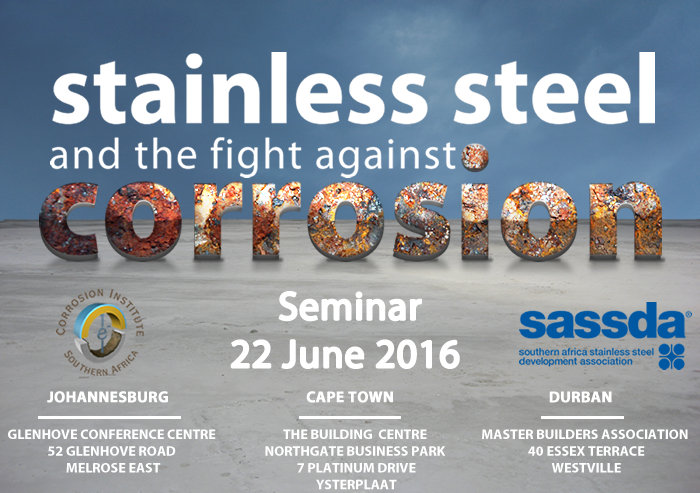 Corrosion is a fact of life and is known to have impact on all materials. Corrosion can cause industries to be non-productive; infrastructure to decay and become dangerous and the true cost to an economy is much larger than the casual observer would estimate it to be. 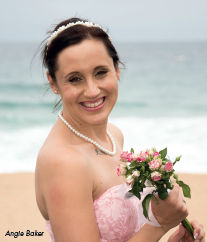 Sassda welcomes Angie Baker as the new regional manager for KwaZulu-Natal. 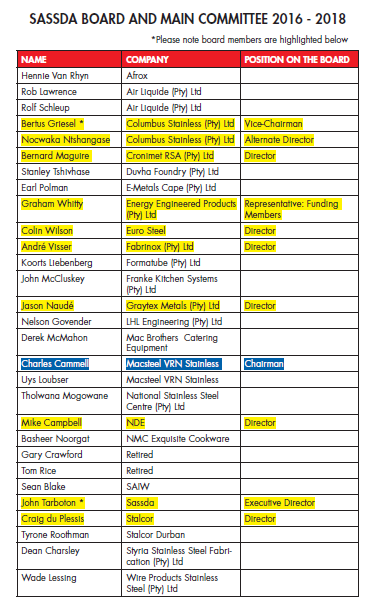 Many of you may already know her as sales representative for a couple of leading stainless steel distributors in KZN. Angie has been in the industry for nearly 10 years and is extremely passionate about stainless steel. 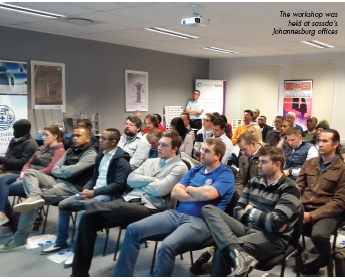 The Stainless Steel in Architecture workshop was held on the 13th and 14th July 2016 at sassda’s new offices. The aim of the workshop is to increase awareness and educate architects about stainless steel in architecture, building and construction. Another Successful Joint Sports day with SAIW took place on 5th July 2016 at the Durban Country Club. There were 116 Golfers doing a shot gun start, with prego Rolls and drinks being served on the golf course by sassda and SAIW as opposed to the normal halfway House. In today’s market where trends change daily due to global market volatility, business owners are now, more than ever, in need of a long-term trusted adviser. The trade has many advisers who do not partner long-term with their clients and who avoid taking on deal risk, which can leave a business owner wanting when identifying a long-term partner. 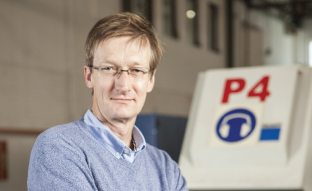 Air Products South Africa’s Board of Directors announced the appointment of Robert Richardson as the new Managing Director of Air Products South Africa (Pty) Ltd. Richardson succeeds Mike Hellyar who recently announced his retirement. Hellyar was at the helm of the industrial gas company for 9 years. Hannes Hoffman, regarded as the Technical Father of 3CR12, passed away on the 16th of August 2016 in George after a short illness. 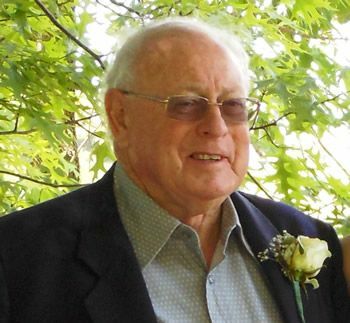 Tributes from the stainless steel industry are pouring in after news of his passing. 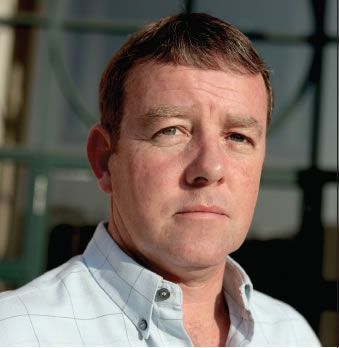 Jan Görtzen is the managing director of World Power Products WPP). Prior to becoming director at WPP, he owned two previous businesses. He holds a BSc –Mech Eng, from Wits University and is married with two sons.